Daniel Knight practices in the areas of admiralty and maritime law, as well as general civil litigation and appellate issues. He has expertise in issues relating to safety in the maritime industry, and has been involved with the defense of hundreds of admiralty and maritime litigation matters. His cases involve personal injury matters filed under the Jones Act, the Longshore and Harbor Workers' Compensation Act, Limitations of Liability actions, as well as admiralty issues relating to vessel arrest and maritime liens. Mr. Knight also assists clients in resolving non-litigation issues pertaining to admiralty law. In his general litigation practice, Mr. Knight has successfully resolved a variety of insurance and commercial litigation matters. 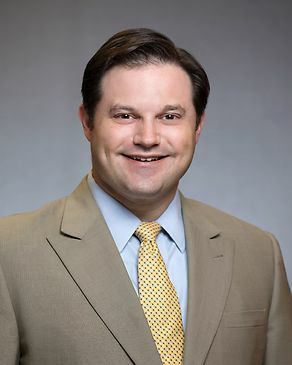 Mr. Knight was recognized as a "Rising Star" by Texas Super Lawyers magazine in 2011-2018 in the area of Transportation and Maritime Law. He was also named a "Top Lawyer in Houston" by H-Texas Magazine in 2012-2018. Houstonia Magazine named Mr. Knight a “Top Lawyer in Houston” in the field of Admiralty law from 2013-2016. In February of 2018, Mr. Knight and Justice David Medina successfully and confidentially resolved a significant piece of litigation in Harris County related to the 2012 pretrial collapse of an under-constructions jack up rig in Singapore. In September 2017, Mr. Knight successfully and confidentially resolved claims made in Jefferson County, Texas against a Texas-based line-handling company by a severely injured Peruvian Seaman. In March 2017, Mr. Knight successfully and confidentially resolved claims made in Harris County, Texas by a maritime worker (who was either a longshoreman or a Jones Act seaman) against a ship's agent/vessel agent. Mr. Knight defended an EPCI client in an AAA arbitration in August 2014 related to the construction of three offshore platforms. The Arbitration proceedings, and subsequent post-Arbitration briefing resulted in a favorable settlement for the Firm's client. Mr. Knight served as first-chair defense counsel in a Jones Act personal injury lawsuit filed in Harris County, Texas. He tried the case to a verdict in February 2011. The plaintiff demanded over $1,300,000.00 in actual damages. The Jury returned a verdict of $1,620.00 against the Firm's clients in approximately two hours. A case summary of this Verdict may be found at 2011 WL 793314. The Plaintiff declined to appeal. Mr. Knight served as second-chair defense counsel in a Jones Act personal injury lawsuit filed in Brownsville, Cameron County, Texas in June 2010. Mr. Daniel D. Pipitone served as first chair. A favorable verdict was obtained in favor of the Firm's client by Mr. Pipitone and Mr. Knight. Plaintiff demanded approximately $3,700,000.00 in actual and punitive damages at trial after demanding $1,200,000.00 to settle the case before trial. Our clients offered $200,000.00 to settle before trial. Plaintiff was awarded $420,000.00 in actual damages with fifty percent fault attributed to Plaintiff. A summary of the verdict can be found at 2010 WL 3483078. The verdict is currently on appeal to enforce the fifty percent reduction of the award, which, if granted, would reduce the actual damages awarded to $210,000.00. Mr. Knight served as first chair defense trial counsel in a week-long Federal Court jury trial in Houston Texas. The case involved a maritime commercial dispute where liability against our client was certain. Mr. Knight’s examinations of several witnesses, including the plaintiff’s economic expert, reduced the jury verdict to less than the amount demanded by plaintiff in mediation, and less than half of the plaintiff’s demand in closing arguments. When representing a vessel owner prosecuting a Limitation of Liability action in the United States District Court for the Southern District of Texas, Houston Division, Mr. Knight helped to obtain a denial of a Motion to Dismiss filed by the Claimants. The Court’s Memorandum and Order, which may be found at 2008 WL 2368730, establishes favorable law for dredging operators with respect to bringing one Limitation of Liability proceeding for multiple claims occurring on different dates, but on the same voyage. While serving as first chair defense cousnel a hardwood flooring broker based in Pennsylvania in a non-maritime commercial dispute filed in the 61st Judicial District Court of Harris County, Texas, Mr. Knight obtained a dismissal without prejudice of his client based upon lack of personal jurisdiction. This ruling dismissed his client as a defendant in the case, and avoided potential exposure of his client to over $2,000,000.00 in alleged damages by the plaintiff. Mr. Knight assisted in the defense of a non-maritime employer in an employment discrimination case. The Firm obtained a favorable summary judgment for its client and the plaintiff appealed to the Thirteenth Court of Appeals. Mr. Knight authored the appellate briefs for our client, and the Court of Appeals affirmed the trial court’s dismissal of the plaintiff’s claims. The Court’s decision may be found at 2008 WL 4667545. Perfection of maritime liens and mineral liens. Negotiation and drafting terminal agreements and offshore Master Service Agreements. "Batura v. Dutra Group and the Latset Circuit Split on Admiralty Punitive Damages," The Federal Lawyer, July 2018. "When Does a Jones Act Seaman Stop Being a Jones Act Seaman?," The Texas Lawyer, June 2015. “Legal perspectives: issues to consider in offshore rig movement,” Offshore Magazine, June 2013. Board of Directors member and Secretary of the Greater Houston Senior Football Showcase (2012-present). Houston Livestock Show & Rodeo (Life Member). Member (2010-2013) and Chair (2011-2012), Missions Committee, First Presbyterian Church, Houston. Member (2013-2016) and Chair (2014-2015) of the Permanent Funds Committee, First Presbyterian Church, Houston. Life Member, Texas Exes (2000-present). In re 4-K Marine, LL.C. If you are a fan of the NPR Podcast "Planet Money"